West Palm Beach, Florida is undergoing a building boom, with many new condos, homes, office buildings, restaurants and stores going up from the downtown area to out west past the turnpike. 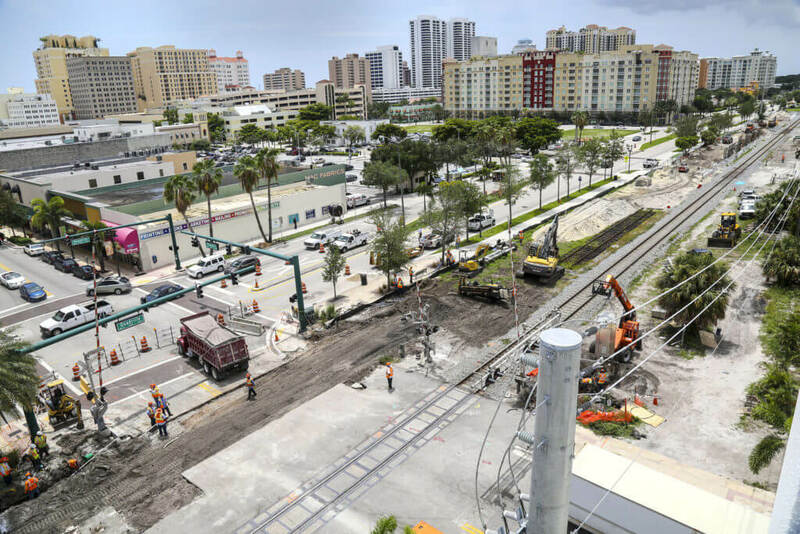 From Clematis Street to Okeechobee Blvd., from City Place to Flamingo Park and Northwood West Palm homeowners and businesses alike need an asphalt paving and concrete company they can rely on for everything from parking lots to sidewalks to driveways. Trinity Asphalt Paving, Inc. is proud to be part of the construction boom in the area and we can assist you with your project as well. If you have a new asphalt pavement or concrete installation project, or just want patching and maintenance and want a honest, reputable, quality commercial and residential asphalt paving company, Trinity Asphalt Paving, Inc. is the one for you. A family owned company hailing from the Loxahatchee area, we’ve been doing paving work for 3 generations and counting in the West Palm Beach area. Our work speaks for itself. From driveways to parking lots, from striping to patching, from new installations to maintenance, you can count on us. Call 561-889-2615 for a professional estimate ASAP! The West Palm Beach, Florida region is thriving, full of brand new and interesting construction projects. The city’s bustling downtown area is home to many established and up-and-coming restaurants, hotels, bars, boutiques, beauty salons and wellness spas as well as home to a number of fascinating antique shops in Antiques Row. Our company has helped a number of West Palm Beach businesses with parking lot paving, striping and patching. We also cater to the concrete installation and asphalt paving and resurfacing needs of these businesses. Are you a West Palm Beach homeowner looking for help with your driveway or sidewalk? From the Del-Ida area and Lake Ida to Sherwood Park and High Point, we can ensure you receive a professional paving job that’s strong, durable, and smooth yet, budget-friendly. From millings driveways to concrete driveways, from black beauty aggregate to hot crack filler, from patching to striping, the material we use will be best suited for your particular need. The asphalt pavement mixture we use is also recyclable. We also perform all kinds of concrete work including the installation of concrete slabs and sidewalk work as well. Our staff members are well-versed in footers, the installation of curbs and so much more. So if you need a West Palm Beach pavement company you can trust for your residential or commercial work, one that is licensed and insured and ready to work to your satisfaction, contact Trinity Asphalt Paving at 561-889-2615 and we will get you a professional estimate ASAP!.